Delicious cuisines always come with comprehensive recipe and a dexterous cook, while fresh materials are the foundation. An excellent customized Embedded System precisely solves the market paint point with an affective cost. It derives from tremendous market communications and skillful engineers? ?team work, while component selection and EMS are the foundation. More than a decade, Talitor has been concentrating on unique competence of software and hardware integration for the application of video processing and Inter-networking. From Jpeg, H.264 to H.265, the cutting edge technology are always trendy, yet choosing one correct technology for the right application is critical for not only solving the issue but also cost effective to justify market demand. From Linux OS, RTOS to Non-OS, it depends on how would you like the problem to be solved precisely. 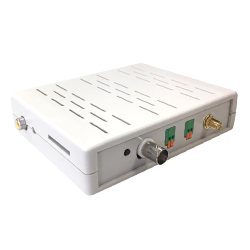 Many more key terms like efficiency of power consumption, compatibility of the video sources, effective storage capacity, optimal video resolution with correct encoding bit rate and frame rate, sustainability of 24/7/365 operation, and etc. Below depicts one of our custom designed product ? ?StreeCam, which features robust sustainability that has been dedicated to street lamp ambient surveillance for public safety. Let the video devices be connected to the IoT world is vital nowaday. 4G, 5G, WiFi, Bluetooth, Zigbee, LoRa, NB-IoT, SubGiga proprietary and etc, all these useful technologies contribute to part of the IoT world. Yet networking the video needs relatively enormous amount of bandwidth, therefore balancing the video with limited bandwidth becomes critical. Applying the connecting way for the right application determines the success of a project. The point is always not solely utmost performance of the video itself, but how it helps solving the problem in the most efficient way. Through Cloud Computing we let our devices be found and connected instantly in accordance with the user's demand, while video and useful information can also be stored for convenient retrieval application if necessary. In association with LTE or LPWAN, our surveillance units versatilely provide live video streaming, remote video playback, geo-location tracking, the configuration of the surveillance units, event alert pushing, the operational status of the devices and etc. No matter it is the need to survey the spot via mobile smart APP or the mobility of a spot being monitored, our capability of Cloud Computing technology helps shaping your own application with an already-built and cost effective infrastructure. At the end, technologies should serve humanly. Centered to this concept, we design all our products completely pragmatic and according to client's inputs. We are talking about 100% customized for solving client's market demand. Therefore the ease and friendliness of user's interface is absolutely important. Take our StreeCam for example, the evidence can be downloaded while user playback and check the SD card; and all these are done through wirelessly with versatile yet friendly APP. Advanced Encryption Standard (AES) for video protection Like all other personal data, the recorded video data in most of the cases should be treated extremely secured. Talitor applied Advanced Encryption Standard to some of our highly security demanded product. It gives a stone-solid protection to the recorded data itself even if the data is incidentally acquired by unauthorized person, eg. the lost of the SD card. Without knowing the exact preset password created by authorized user, the recorded data in the SD card could not be playback. Utilize LPWAN to enhance our technologies to the next level! When more than few units of 24/7/365 stand-alone video surveillance devices are installed and scattered over the remote area, how can the owner/operator of these equipments be free in mind from malfunctioning of such many working devices ? Talitor has been developing and manufacturing many customized surveillance products that are sophisticated and dedicated to special applications according to mission-orientation. 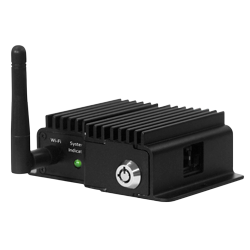 Although they are network-able with WiFi, Ethernet, or LTE connection for video data transmission, the application is still limited because of either the applied fields is not available with network or commercially expensive of LTE. At this point if LPWAN is added, such as NB-IoT, LoRa, or Sigfox, it will provide a low cost but effective solution to help management of the entire fleet of devices. Each individual machine status can be instantly monitored, eg., system diagnostic, alert informing, parameter settings, OTA upgrading and etc. The LPWAN enables the isolated stand-alone machines being networked and managed with a very low and negligible cost, yet top up the value of service and create a new business opportunity as " Pasturing " .